Researches have been made, experts have shown interest, methods have been experimented, and it turns out there are actually more ways to boost your energy and lose weight than you think! Before we dive deeper into this article, watch this video to get an insight into what I’m going to explain! Wondering what you’ve just watched? Well, that’s the famous author Naomi Whittel explaining those two interesting dieting methods. Let’s take a look at each one of them. How Does a Low Protein Intake Affect Your Body Positively? 2- Intermittent Fasting, You Got It All Wrong! Alright Then, How Is It Done? 3. 20 Pounds in 10 weeks! To be brief, it’s a process where you shift between days of low and high protein intakes. So you are basically tricking your body into using the protein it receives more efficiently. Check this Protein Cycling article to get an all-inclusive view of this dieting method. Well, obviously, our body doesn’t make its own protein. So when you don’t eat your regular amount of proteins on low days, your body then begins to recycle the already existing proteins. This activates a process called Autophagy which you saw in the first seconds of the video. Naomi didn’t quite talk about Autophagy in the video, so let me explain briefly what it is. It’s a cellular detox process which fights aging, it rejuvenates the cells in your body that keep it healthy and cleanses out the toxins, so aging is slowed down. In fact, Whittel has explained everything you need to know about Autophagy on her website. And you can actually watch this interview to hear what the author has to say about the cellular process. You may think it’s harder than it is. In fact, it’s a piece of cake when you get used to it as a lifestyle! It’s basically a pattern where you switch between fasting and eating. Unlike almost all diets, this system doesn’t depend on what foods you eat, it rather focuses on when you eat them. So, you may not call it a diet, it’s more like an eating pattern. It’s been wrongly assumed that the human body can’t go for a few hours without eating, but in fact, our bodies were designed to break through it and take advantage of such a situation. Your body was not actually designed to eat 3-4 meals a day. Fasting is done in almost all religions, proof that it’s not just a myth from diet gurus. Let me walk you through the types of fasting that Naomi didn’t mention in the video. Let’s start with the shortest! 16 hours fasting and 8 hours eating, as simple as that! You fast for 16 hours, there isn’t a time restriction for that, you just pick what part of the day you’re okay with not eating and fast for it, and eat your meals in the remaining 8 hours! Same, but with a different ratio! This time, you fast for the majority of the day which is 20 hours, and eat only for 4 hours, so this actually forces you to eat less than your daily amount. Eat just once a day! Yup, some people actually do it. The meal you eat for today is the same meal you eat for tomorrow. Which means, if you eat dinner today, then you don’t eat anything until tomorrow’s dinner. So that means you’re eating daily but only one meal per day. This system shouldn’t go for more than 2 to 3 days per week. This system includes 5 eating days and 2 fasting days. On those fasting days, you’re allowed up to 500 calories per day but no more. You’re also allowed to have them whenever you like, and anyway you like them. Now you know what PC and IF are, now time for questions! Let’s just see what the author herself had to say! Alright, so 6 spoons of peanut butter, now who wouldn’t want THAT? But let’s get back to our topic, so now you know what to do on your low days when the intermittent fasting takes place. Your amount of protein is unrestricted, as the author says! The beauty in this system is that you’re not at all restricted! You’re free to do it as you like. You can do it in sequence with your lifestyle and you’ll have no problems then! There’s a strong relationship between losing weight and restoring your energy. You might not be overweight but nutrition experts would still recommend you to follow one of those two programs (or both) to give your energy a fine boost. Cause as I’ve previously mentioned, these approaches are more like an eating pattern that balances and regulates your whole life. Check the conclusion of this article to know what you should do next! Alright! Enough with the talking! Those are some results for the Glow15 System of Whittel’s! 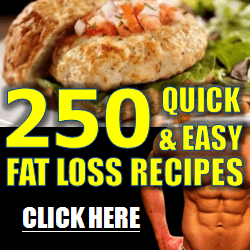 Which includes over 50 autophagy-boosting recipes. A few Instagrammers shared their results after turning their lifestyle and getting their energy back according to intermittent fasting and protein cycling! You can go on their profiles and see for yourself how the change is affecting their lives! They’re all proud of what they did and want to share it. Some of them actually share the whole diet and its details, so you’ll find it easier to relate to people who’ve actually done it. Take a look at these guys and how they changed their lives forever! Seems impossible to do so but this guy has actually done it! And he counts all his results for intermittent fasting. He accompanied the unique eating pattern with a low carb/ high fiber diet which has obviously paid off for him. Cheryl went for the hardest intermittent fasting which is 24 hours, two times a week! Only eating low calories foods on her allowed meals. Max lost 20 pounds in just two months and a half! He went for the 16:8 method which is the most famous out of them. He mentions that he switched between it and the 5:2 method and says that both methods have shown great results, as you can see in the photo. For most of us, the first question that pops in mind when it comes to losing weight and boosting energy is the price. How much does it cost me to buy this product? Or this diet tips book? Well, luckily, both methods are completely for free. You can find everything you need to know about Intermittent Fasting and Protein Cycling on the web. See the results for yourself, you can’t kid yourself and say it’s not worth it! Besides, everything gets easier with time. You will find it hard at first and that’s completely normal but then it will become your lifestyle, you will actually consider anything else unusual! Have any thoughts about Autophagy or energy boosting tips? We’d love to hear from you in the comments section below.